With a large crew both in the shop and up at the worksite much of my days are spent organizing and helping crew. In between I spend a few minutes at a time doing the projects I need to do. 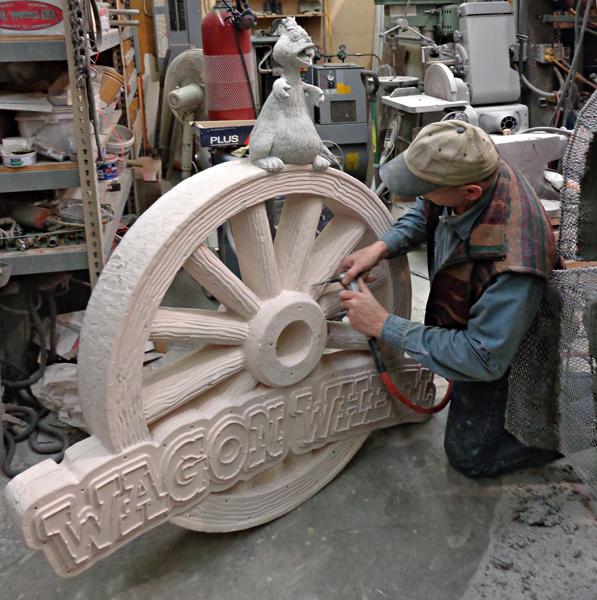 It took me two days to complete the hand carving of the woodgrain on the wagon wheel sign. I used an air powered die grinder to remove the excess glue, get rid of the uneven edges and carve in the heavy woodgrain. The work was all done freehand of course, an ideal method to create the weathered and worn look I was going for. The router is great for the precision needed to carve the shape and lettering. 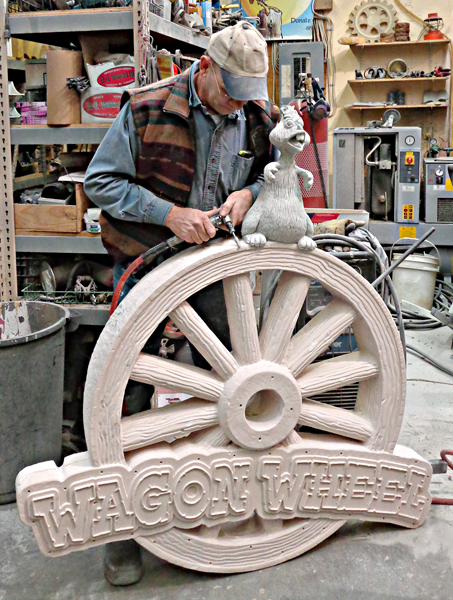 The totally random woodgrain carving is quick to carve by hand, much faster than to design and program each wheel piece on the computer. The rim of the wheel was given some quick random texture with the die grinder as well, and now looks like it has travelled many bumpy miles on some pretty rough trails. The 30 lb Precison Board carves easily and holds the details extremely well. 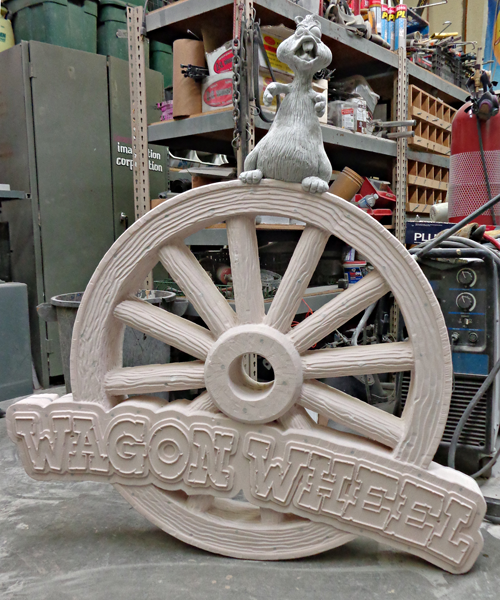 The screw holes will get filled with a little Abracadabra sculpting epoxy and then we go on to the paint stage.